Learn about the Team at Master the Wards, including Dr. Conrad Fischer, Vladimir Gotlieb, and Michael Farca. We offer a Clinical Observership Program for internal medicine graduates in New York, NY. Programs include hand-selected proctors, support from medical residency leaders, and academic conferences. 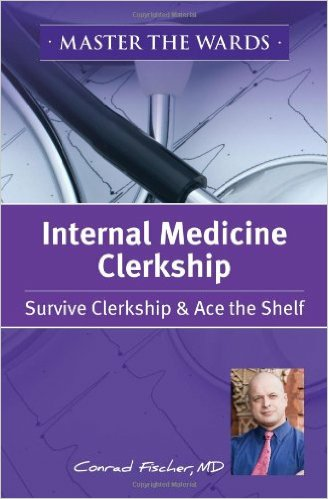 Dr. Conrad Fischer is the author of 15 books for USMLE and the American Board of Internal Medicine examination including the best-selling “Master the Boards" books. Dr. Fischer is Associate Professor of Medicine, Physiology and Pharmacology at Touro College of Medicine. Dr. Fischer has recently released “Master The Wards” as a pocket book that explains how to succeed the first time in your first clinical experience on an internal medicine rotation. He is the Program Director in Internal Medicine in Brooklyn NY at one of the largest training programs in the United States. Michael Farca served as a residency program coordinator for the Department of Medicine at one of the largest training programs in the country. He became the Department Administrator with continued oversight of the residency program, 2 primary site fellowships and 3 rotating fellowships. Michael has dedicated over a decade to graduate medical education and has successfully led his team in over 10 ACGME accreditation surveys. He is currently board certified in Teaching Administrators for Graduate Medical Education (C-TAGME).